A Princess cut diamond in an open crossover style bezel setting. Smaller princess cut diamonds are channel set into the upswept shoulders. 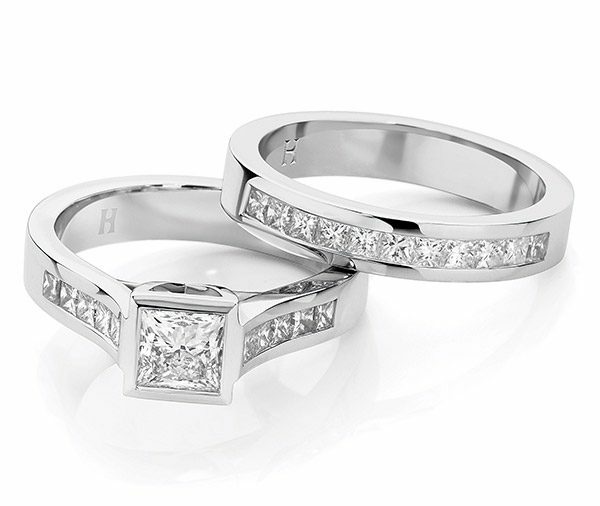 A matching channel set princess cut band completes the set. 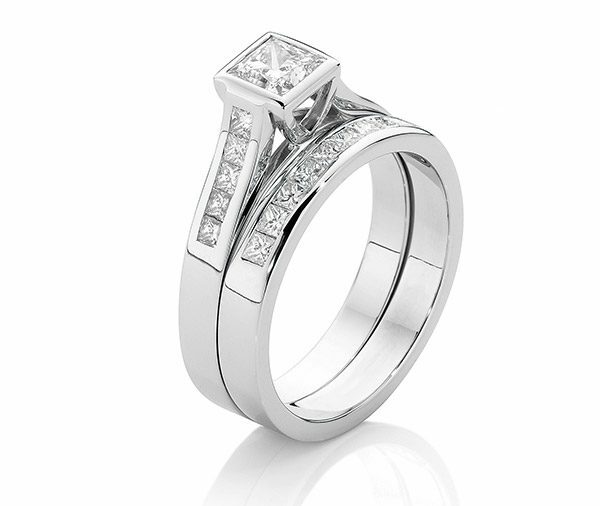 Model image features centre 0.60ct princess cut diamond. Available in platinum, 18ct white, yellow or rose gold or any other precious metal combination.